An outstanding pianist, composer and producer, Leszek Możdżer is widely considered to be Polish Jazz’s greatest revelation of the last decade. 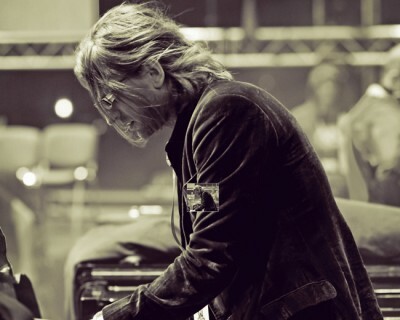 Born in 1971, he has been playing the piano since the age of five. He completed every stage of formal education until graduating in 1996 from the Stanisław Moniuszko Academy of Music in Gdańsk. He became interested in jazz relatively late – in his last grade – when he was 18. He was introduced to jazz in the band of Emil Kowalski, a clarinet player, but his proper start took place at his first rehearsal with a band called Miłość (Love) back in 1991. One year later he received an individual award at the International Jazz Competition Jazz Juniors ’92 held in Cracow. He was also a member of the Zbigniew Namysłowski Quartet. In the poll organized among Jazz Forum readers Możdżer was chosen as the Most Promising Musician of the year 1993 and 1994, and the Best Jazz Pianist – in each consecutive year since 1994. Leszek was also many times honored as The Musician of the Year. On many occasions Leszek Możdżer recorded music with Zbigniew Preisner (Requiem for my friend, 10 easy pieces for piano). He also works on a regular basis with Jan Kaczmarek, Polish composer living in LA, while recording music scores (for 20th Century Fox and Miramax). He has been invited to perform jointly with the most gifted and renowned Polish jazz musicians, such as: Tomasz Stańko, Janusz Muniak, Michał Urbaniak, Anna Maria Jopek, Adam Pierończyk and Piotr Wojtasik. Możdżer has also performed and recorded with many internationally acclaimed musicians, including David Friesen, Pat Metheny, Arthur Blythe, Buster Williams, Billy Harper, Joe Lovano, Archi Shepp, David Liebman, Charles Fox, Lester Bowie, David Gilmour, Marcus Miller, John Scofield, Steve Swallow, Eddie Daniels and Tan Dun. Since 2011 Leszek Możdżer has been the Artistic director of the music festival, Enter Music Festival, held annually in Poznań, on the Lake Strzeszyńskim shoreline. His variations and improvisations on the themes by Fryderyk Chopin have further strengthened his artistic position and ranked him among the most outstanding individuals and virtuosos of the European jazz stage.